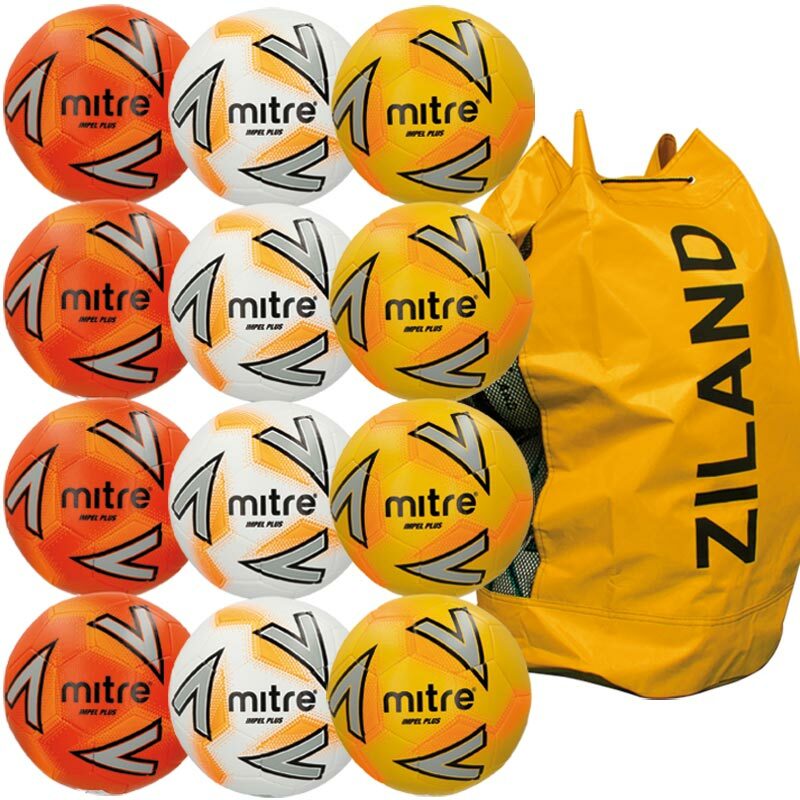 The Mitre ® Impel Plus Training Football White Assorted 12 Pack is Mitre's mid-level training ball. A 30 panel ball that is constructed using a 0.4mm PU outer which makes it more durable and hard wearing than the lower level Impel ball. 12 x Assorted Footballs size 3, 4 and 5. Increased durability through a 0.4mm PU outer material to resist constant use and offer superb performance - it'll become part of the squad.